Steve Jenkins and Derek Walter had their lives turned upside down when they adopted their pig-daughter Esther - the so-called micro pig who turned out to be a full-sized commercial pig growing to a whopping 600 pounds - as they describe in their best-selling memoir Esther the Wonder Pig. 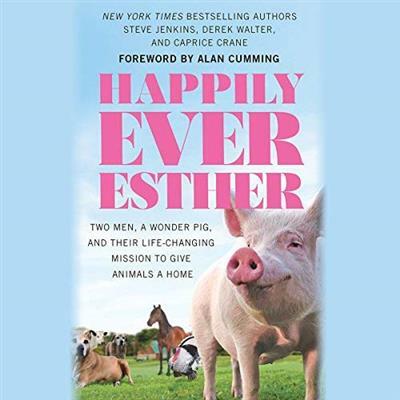 The book ends with them moving to a new farm and starting a new wonderful life where they will live on the Happily Ever Esther Farm Sanctuary to care for other animals and just live happily ever after. Or so they thought.